Utah is renowned worldwide for its phenomenal powder and serious annual snowfall. You’ve heard of all the big ski areas, but three of Utah’s most beloved resorts are just a few minutes from Ogden proper. 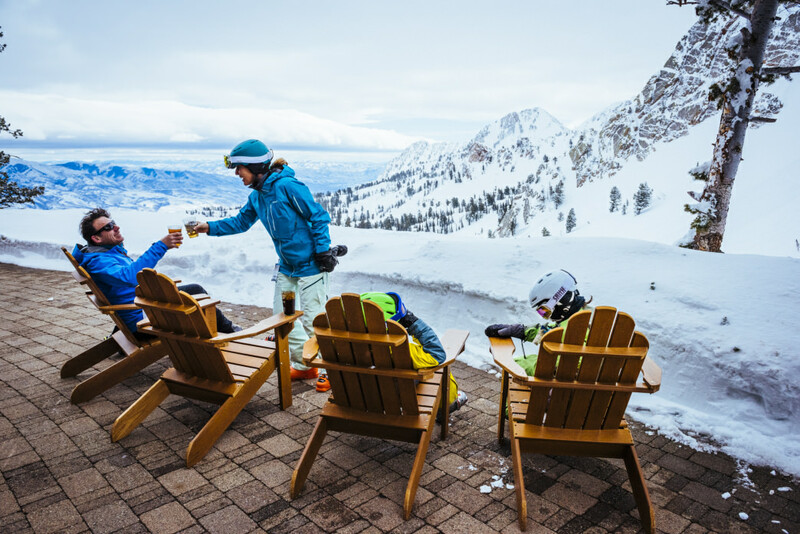 Whether you’re looking for a backcountry experience, a family-friendly outing, or a world-class resort, Ogden’s resident ski areas have you covered. 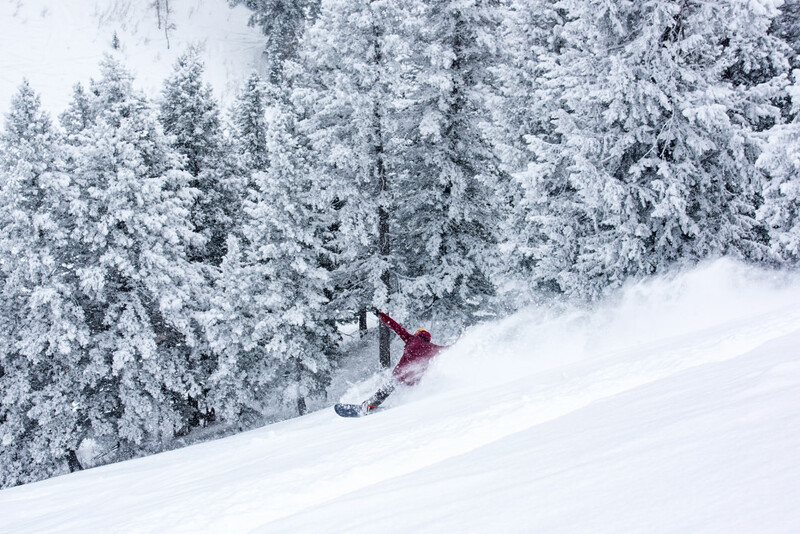 Head to Powder Mountain to feel like you’re hitting the backcountry. The ski area accesses nearly 8,500 acres of terrain—more skiable acreage than any other resort in the United States—including lift-served terrain, the Powder Country Shuttle, the Lightning Ridge Snowcat Ride, and 3,000 acres of terrain serviced by backcountry tour guides. All this would feel like plenty of terrain even with Vail-sized crowds, but it gets better: Powder Mountain caps its daily lift ticket sales at 1,500, so you won’t be running into tons of other skiers and snowboarders on the resort’s nine lifts and 167 runs, which are mostly intermediate and advanced. The Wolf Canyon backcountry area is known for its steep-and-deep skiing, and limited guided tours are available throughout the season. There’s also a full-day cat-skiing tour, which is limited to just 20 guests per day. Powder Mountain tallies similar annual snowfall to its neighbors (around 500 inches), but between its major acreage and its strategic location—it’s largely sheltered from both sun and wind—the greatest snow on earth sticks around. This Eden gem has served as the testing ground for Backcountry Magazine’s annual gear guide for a decade; each year, editors bring a pile of gear to Powder and set their testers loose on the mountain. Powder Mountain has come a long way since days as a sheep pasture, but it retains its down-to-earth feel with relatively cheap day passes and a quiet, backcountry sensibility. Purchase your lift ticket well in advance of your visit to make sure you’re one of the lucky 1,500. 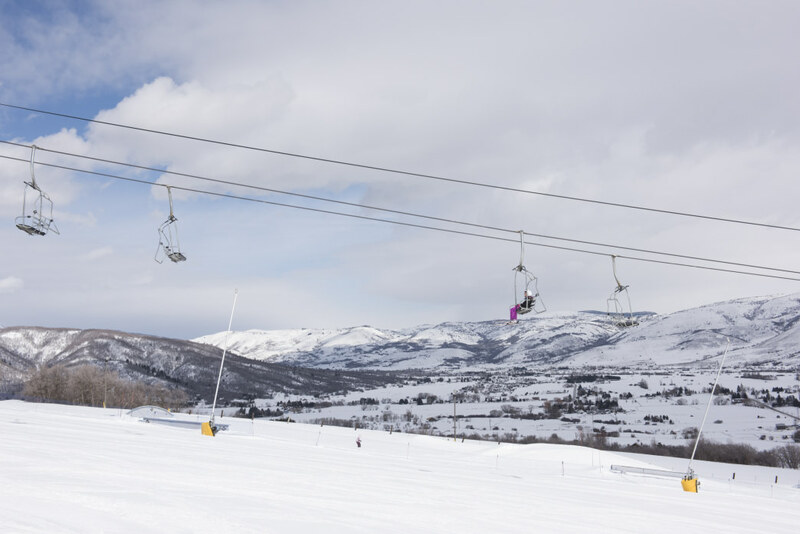 Located less than half an hour from Ogden in Huntsville, Utah, Snowbasin Resort was the home of the downhill, combined, and super-G races at the 2002 Winter Olympic Games—so it’s no surprise that you’ll find world-class skiing here. Snowbasin opened in 1940, making it one of the oldest operating ski areas in the country, yet today the resort is also known for its modern, luxurious lodges and amenities. The mountain draws skiers of all abilities to its 3,000 acres, with wide bowls, steep chutes, and evergreen forested gullies for more advanced skiers and long, rolling groomers for beginners and intermediates. It, too, is known for its uncrowded slopes, and it’s easy to go off-the-beaten path to enjoy some solitude, especially on the advanced off-piste runs. And skiers of all abilities will enjoy practically no lift lines all day long. 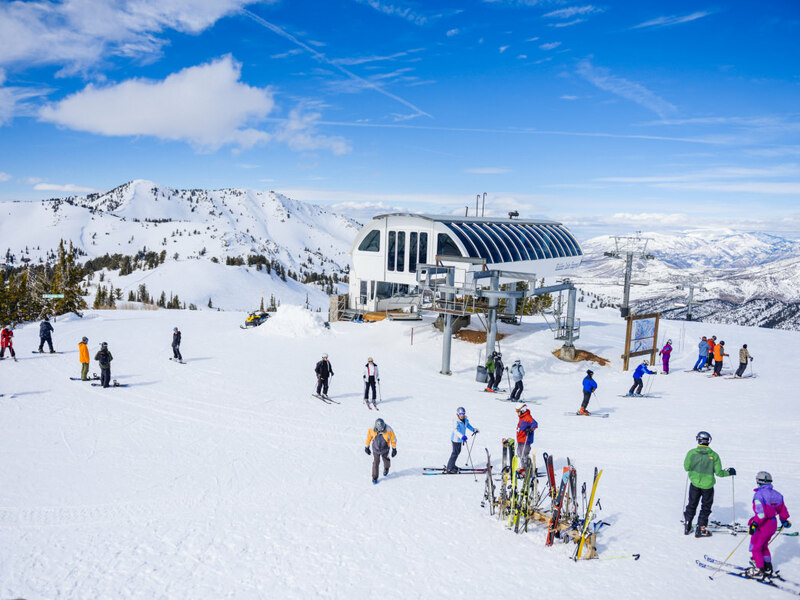 In addition to the spectacular on-snow experience, Snowbasin is stands out for its high-end amenities and dining. You can choose from several different lodges on-site that feature high ceilings, marble, and other first-class touches. The resort’s award-winning dining is consistently ranked among the best in the country, with an added focus put on locally sourced ingredients for its slope-slide restaurants. The mid-mountain lodges—John Paul Lodge and Needles Lodge—offer excellent cuisine paired with jaw-dropping views of the mountain and the valleys beyond. 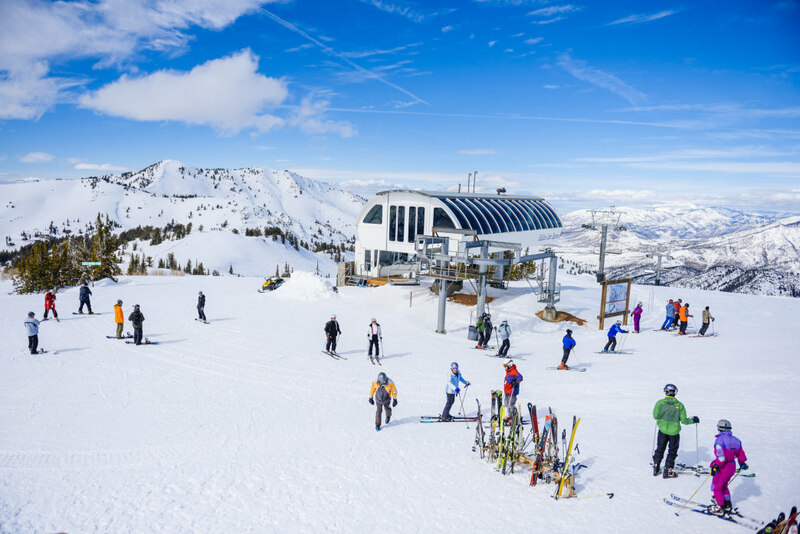 If you’re looking for a luxurious ski vacation at a great value—Snowbasin is your choice. Tucked in the rugged Wasatch Mountains just outside Eden, sleepy Nordic Valley is the perfect spot for the whole family. It’s got everything you need in a resort, plus plans to build new gondolas, lifts, and a retail village, but without all the bells and whistles (or the price tag) of some of Utah’s bigger ski areas. With 20 percent beginner and 50 percent intermediate terrain, plus a Magic Carpet, Nordic Valley is a great place to learn to ski or improve your skills. There’s also an affordable Ski Academy, so you can put your kids in lessons without breaking the bank. Still, advanced skiers won’t be bored at Nordic Valley. This super-accessible ski area opened in the late 1960s and served as a training facility for the 2002 Winter Olympics in Salt Lake City, so it’s good enough for the pros. About 20 percent of the mountain’s terrain, accessed by the Apollo Double Chair, is black diamond-worthy; the entire mountain is lit up for night skiing every night. The resort has also designated 20 acres for terrain parks. Nordic Valley, as the locals say, is where Utah learns to ski. There’s plenty to keep intermediate and advanced skiers entertained while the newbies are in high-quality lessons, and best of all, it’s budget-friendly. Full-day adult lift tickets start at just $45, and you can get kids on the slopes beginning at $30—and those under six ski free.